*Prices based on two adult guests. Prices will vary based on time of year and number of guests. Some weekends and holidays may require a 3-night minimum stay. 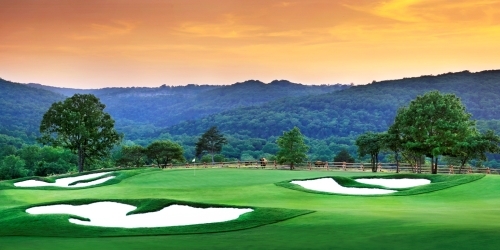 When calling 1-800-225-6343, please mention you saw this golf package on GolfMissouri.com and mention promo code: GolfMissouri.com. Buffalo Ridge Springs reserves the right to change price and offer at anytime. Prices and offer are subject to change without notice. GolfMissouri.com is not responsible for errors posted in this golf package. GolfMissouri.com is a golf directory featuring golf course directory and golf planning tools. Copyright CityCom Marketing, LLC - GolfMissouri.com - All Rights Reserved.